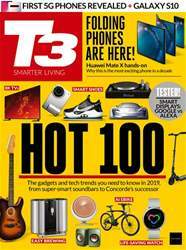 (2 Customer Reviews) | Write Review 13 issues per year "T3 magazine is the world’s best gadget magazine, covering everything from MP3 players, to home cinema systems and games consoles. It’s packed with the latest tech news, reviews and features and delivers a one-stop shop for the gadget-obsessed tech-oholic. 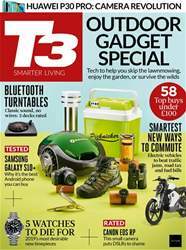 T3: The only gadget magazine you need." Looking for T3 in print? Unfortunately pocketmags.com does not sell print copies of T3, but all is not lost. Our partner at magazine.co.uk sells print subscriptions at the best prices online. 52 Wireless Upgrades To Change Your Life - Get Connected! 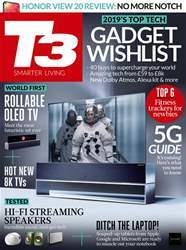 "T3 magazine is the world’s best gadget magazine, covering everything from MP3 players, to home cinema systems and games consoles. It’s packed with the latest tech news, reviews and features and delivers a one-stop shop for the gadget-obsessed tech-oholic. 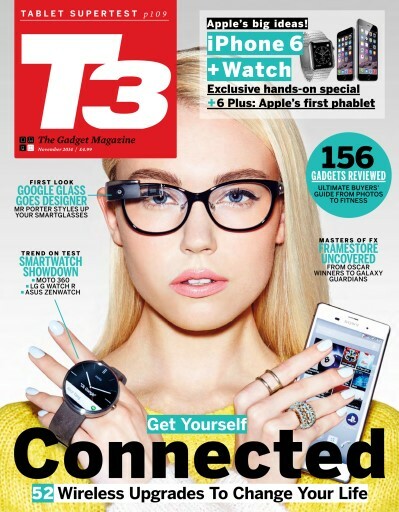 You'll receive 13 issues during a 1 year T3 magazine subscription. Love it! As a huge Android and Magazine fan the only thing that I missed about my loathsome Apple device was the interactive features of digital publications. I've only just discovered this but so far haven't had any problems at all with the in app purchasing or the download speed. Just got the May edition in around 5mins on HSPA+. This was my only subscription on Zinio. This has replaced it. Good job T3. Works so well, I'm tempted to re - subscribe. Hopefully there will be a Win 8 version (if there isn't already). You'll receive 13 issues during a 1 year T3 magazine print subscription.